In our third of not one, not two, but three posts on kicking a football in the NFL, we take on a reader question of whether the stadium / home team matters for making a field goal. 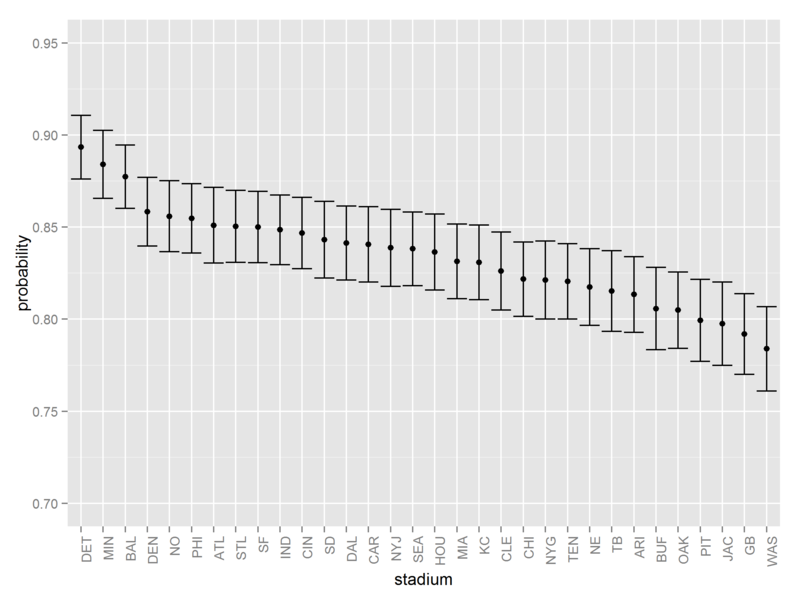 We pulled up the data on every field goal since 2002 (over 10,000) of them and plotted the probability of scoring as a function of the stadium in which the field goal was kicked. The results are above. Bars are +/- 1 standard error. 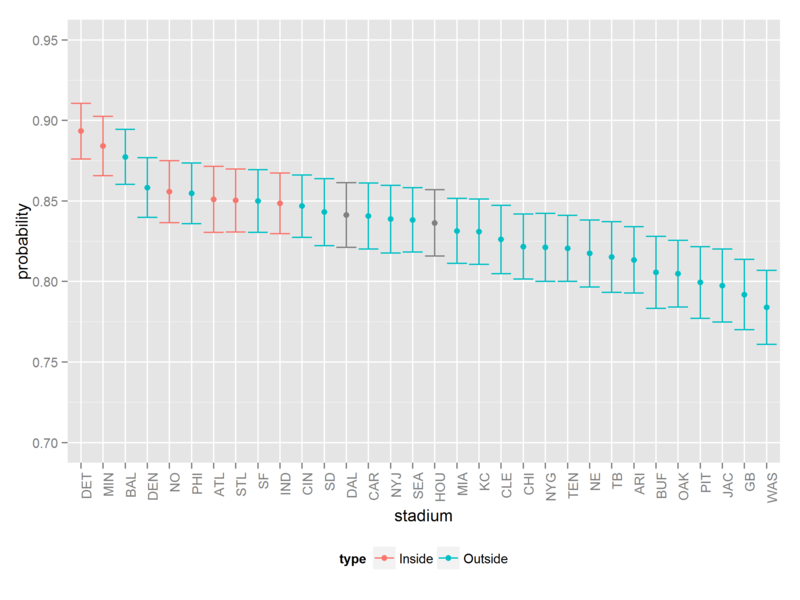 Owing to the generosity of the great reader / Scottish economist Adam Smith (see comments), we now have the stadiums broken down by door (indoor or outdoor). The gray stadiums are either convertible (Houston) or have a small hole in the roof (Dallas). Correlation is not causation, but it sure does seem plausible that having an indoor stadium helps the kicker. 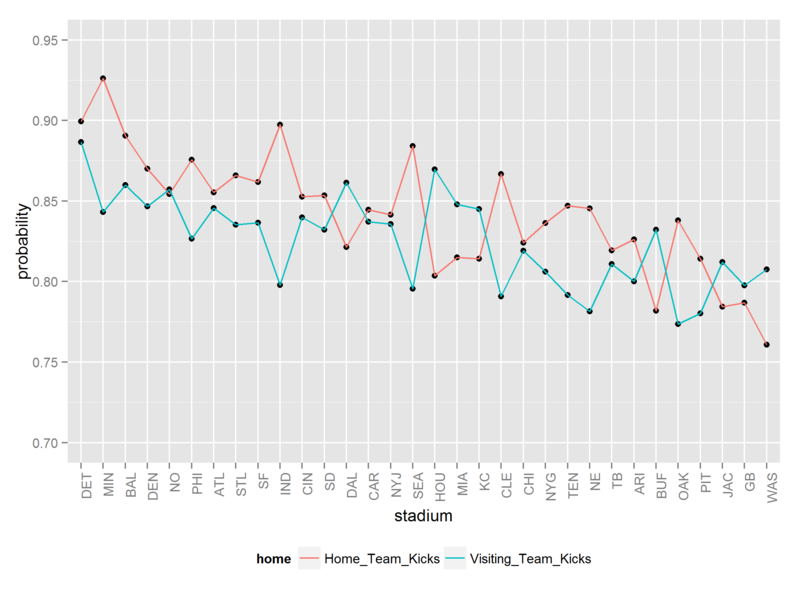 Graphs were made in R using Hadley Wickham’s ggplot2 package. Pointer to the data can be found at our previous post. The post Stadium / home team effects in making field goals appeared first on Decision Science News.